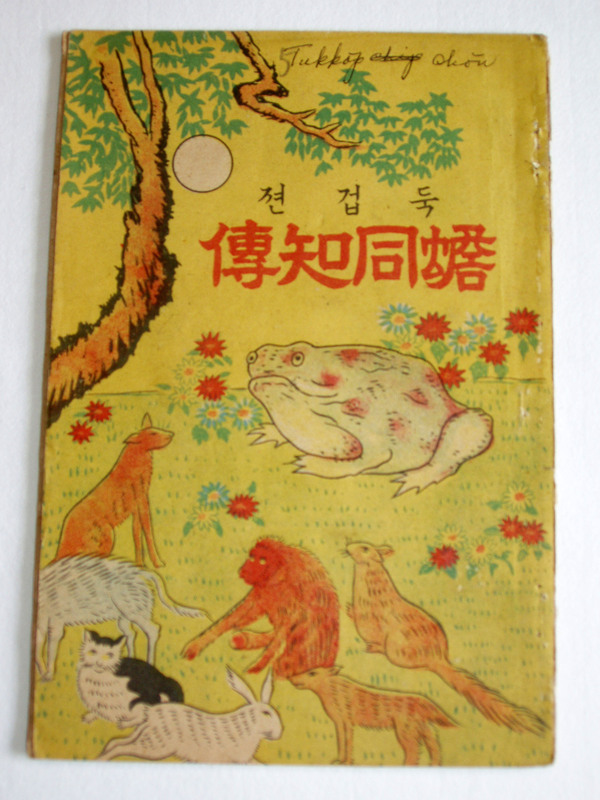 The C. V. Starr East Asian Library has recently received a collection of Chinese books from Ms. Tania Tann Palmer via Ms. Linda P. Chen. 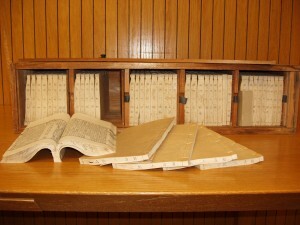 This gift includes 54 titles in over 200 volumes. 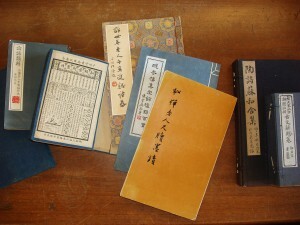 The books mainly cover Chinese classics, art, and literature, and come for the most part in traditional thread binding. 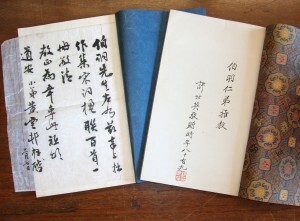 The books were passed from Mr. Beue Tann (1900-1982), or Tann Po-yu (Tan Boyu), to his daughter Ms. Tania Tann Palmer. As a son of Mr. Tann Yen-k'ai (Tan Yankai) (1880-1930), a preeminent leader of the early period of Republic of China (1911-1949), Mr. Beue Tann served as an important diplomat and high-level government official of China. The collection also includes a number of volumes presented to Mr. Beue Tann with inscriptions and signatures by well-known government officials, poets, and artists of the Republic of China. 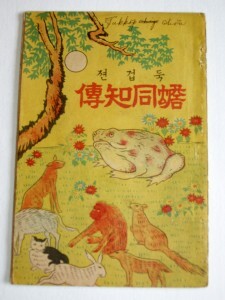 Some books bear Mr. Beue Tann’s own signature and marginal notes in Chinese. 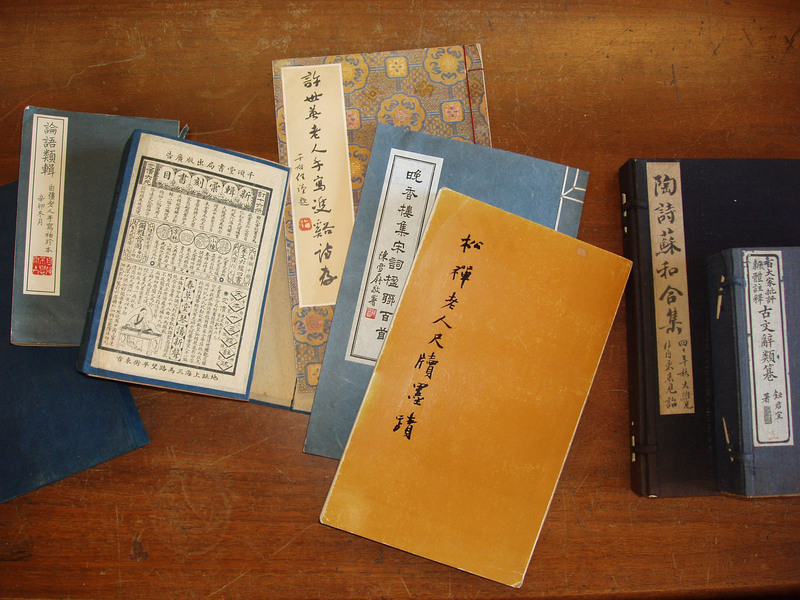 The books in this Tann donation form a good addition to Starr Library's collection, which boasts strong collections of Chinese classics, history, art and literature. Some sample books from the collection will shortly be on view in the display cases in the reading room, near the entrance. 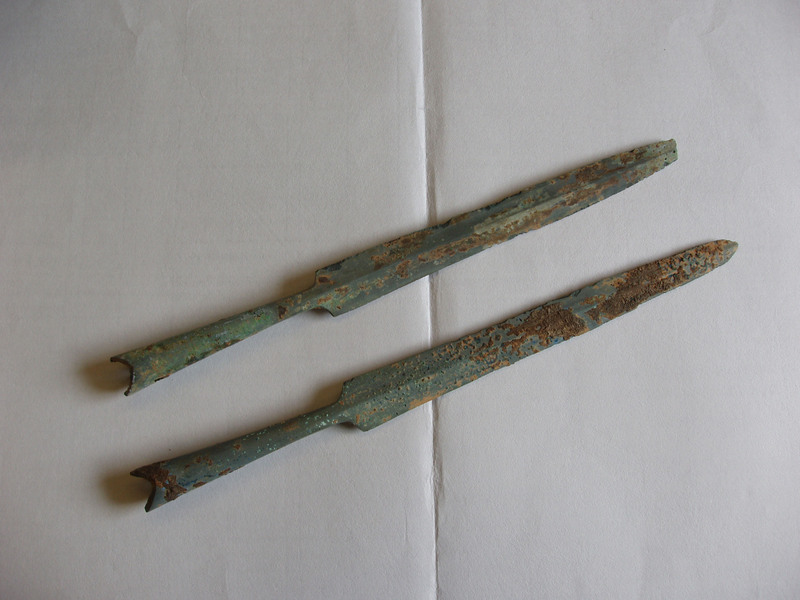 This entry was posted in New Acquisitions on October 23, 2012 by Ria Koopmans-Debruijn. The M.A. Film Studies Program and C.V Starr East Asian Library presents, "Memory Project: Chinese Independent Documentaries" on Monday, October, 22 at 8pm. Chinese documentary filmmakers of the only-child generation explore their identities by engaging with the past. In 2011, these directors returned to their ancestral villages to uncover oral histories from their grandparents. Found memories are uncovered of a different China paralyzed in fear and famine. This event features a screening and conversations with Wu Wenguang, Zou Xueping, Zhang Mengqi, and Luo Bing in Dodge Hall in the Lifetime Screening Room. There will be an introduction by Professor Nico Baumbach, Film Division and the conversation will be moderated by Dr. Junjie Chen, Visiting ACLS Anthropologist. This entry was posted in East Asian Events on October 17, 2012 by Ria Koopmans-Debruijn. Currently on view in the display cases throughout our reading room is a small selection of materials from our various collections, to give you a taste of the breadth and variety of what the Starr Library has to offer. Included, in the display case near the entrance, are some volumes from a newly acquired Chinese set 上海圖書館藏稀見方志叢刊 / 上海圖書館編 (Shanghai tu shu guan cang xi jian fang zhi cong kan), about which we will tell you more in a subsequent post. Also near the entrance are volumes from four different Japanese rare book titles that were recently added to our collection thanks to a combination of CUL Primary Resources Fund grant money and a generous donation from Professor Donald Keene. 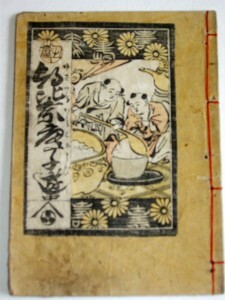 The titles included are 繪入源氏小鏡 (Eiri Genji kokagami), 朝比奈唐子遊 (Asaina karakoasobi), 本樹真猿浮氣噺 (Motoki ni masaru uwakibanashi), and 繪入義經記 (Eiri Gikei ki). 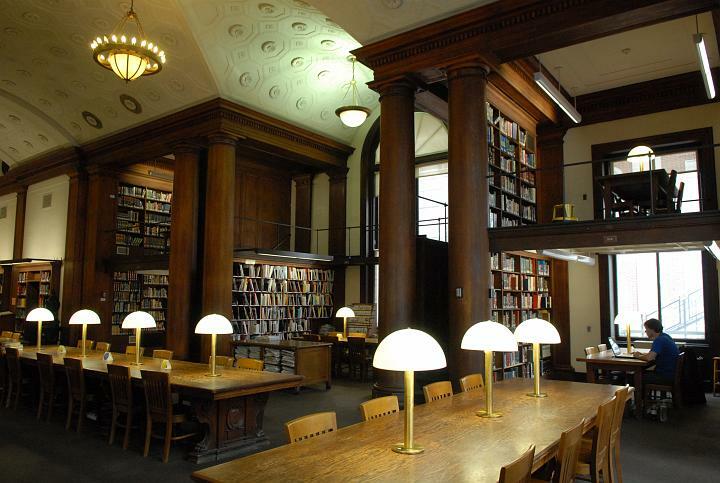 Except for the volumes currently on view, these works are all housed in our Rare Book collection, and can be used in our Rare Book Reading Room. In the display case in the center of the reading room you will find a volume including the inaugural and subsequent issues of a short-lived Tibetan pictorial magazine that features a variety of issues during the late 1950s. In addition, the covers of two databases are shown, to wit a digital version of the Tempangma manuscript of the Kangyur, created in Gyantse in 1431, and a digital version of the Peking manuscript of the Kangyur preserved at National Library of Mongolia. These databases are available for on-site use, by contacting the Tibetan Studies Librarian Lauran Hartley. To the left of the Tibetan display is a selection of six Korean popular novels. These come from a larger collection of 157 such booklets. The collection is considered quite rare. A third display case is located near the stained glass window at the end of the reading room and includes a selection of postwar film-related publications, both scholarly and popular, from the Makino Mamoru Collection on the History of East Asian Film. For more information on this collection check out the website and the Makino Collection blog. 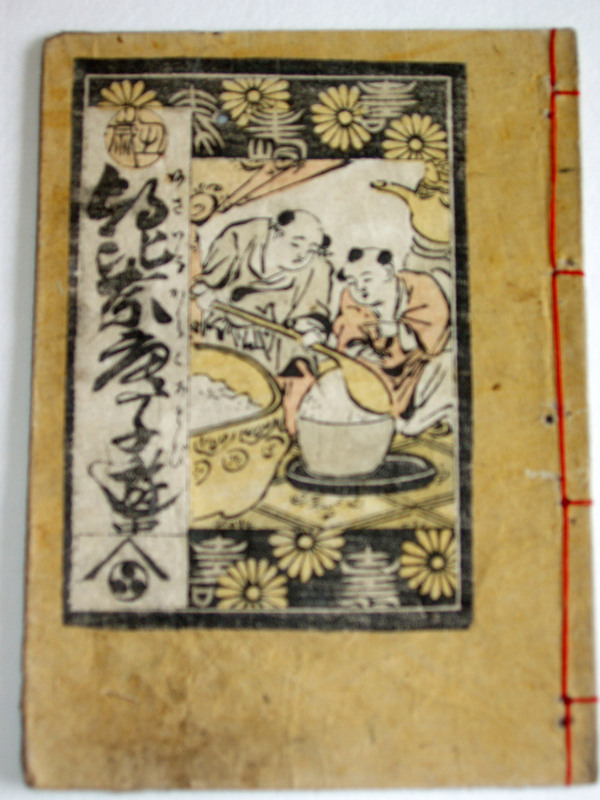 In addition to our very substantial print-based collections, Starr Library also owns many less expected items, from woodblock prints to postcards to oracle bones. Most of these artifactual items lack proper description and are, at this time part of our more "hidden" collections. As an illustration of such artifacts we are showing a variety of printing blocks and printing type in the display case near the stained glass window, as well as ancient Chinese lance heads near the entrance. We hope to highlight more of these three-dimensional treasures in blogs to come. This entry was posted in Exhibitions on October 8, 2012 by Ria Koopmans-Debruijn.